Take your pretzel pumpkins just a step further with this yummy peanut butter pretzel pumpkin recipe. 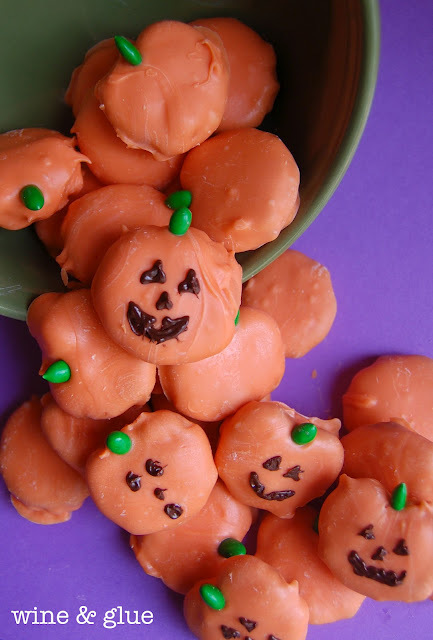 These yummy pumpkins are perfect for a Halloween treat or a Fall snack if you leave off their cute jack-o-lantern faces. You can check out how to make peanut butter pumpkin pretzels over at Wine & Glue.